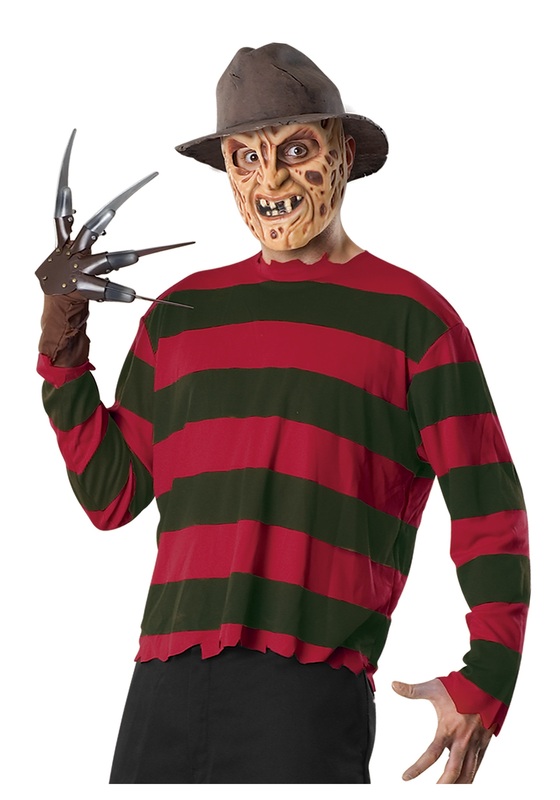 Being a hideous psycho killer who inhabits the dreams of his victims ain't easy, but it all starts with the right kind of wardrobe. The first step is to wear clashing colors. We think studies have shown that clashing colors terrify victims more than complementary colors. The next step is to have some kind of weapon, like claw gloves. Nothing says "I'm going to kill you!" like claw gloves. The last step is to have a face so ugly, even kittens won't look at you. This handy Freddy Krueger set helps you out with all three of those issues. It comes with a hideous mask, a claw glove and a shirt with clashing colors. It even tosses in a hat for a bonus! All you really have to do, is figure out how to enter into people's nightmares.